Well, its been a while since I had a chance to work on the car. I’ve been doing drywall in the house, disassembling a broken lawnmower, several work related tasks, and various holiday season activities. But, last Friday I took the day off (actually the rest of the year) and Maria and I drove down to Flint, Tx to the UltraShield factory and showroom. I tried on several different seats of various sizes and finally settled on a 16” / 20o VS RoadRace Halo seat. 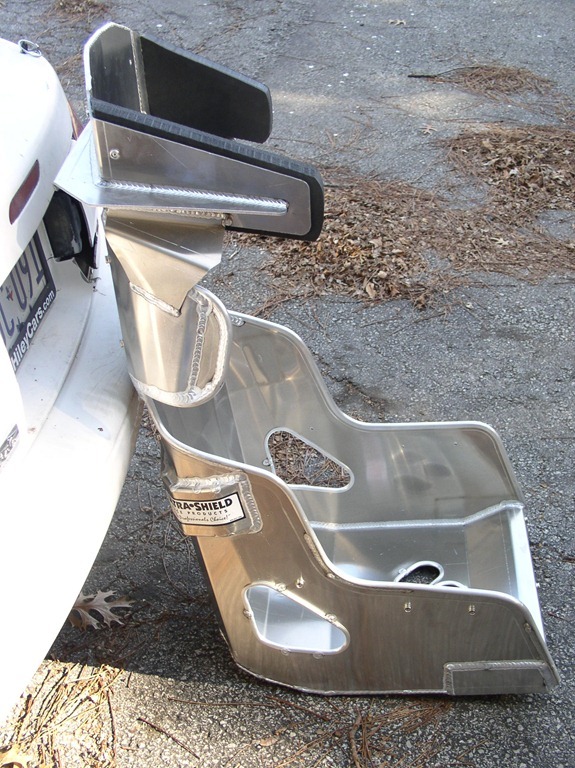 I eventually intent to make a custom foam insert using two part foam from pegasus auto racing. Particularly, after I get rid of some of the ballast around my midsection . 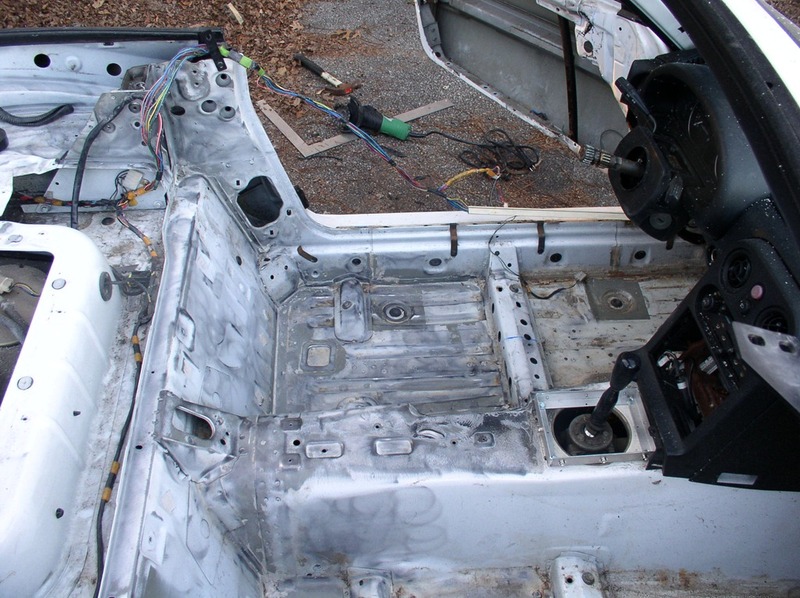 As you can see, it’s precut for 5 or 6pt harnesses. There is 1.5” of foam on both sides of the halo, and a brace around the rib section. 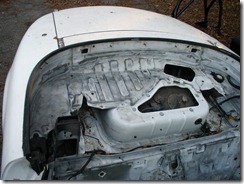 The 16” seat is a little larger than the opening between the rocker-panel and the trans-tunnel. 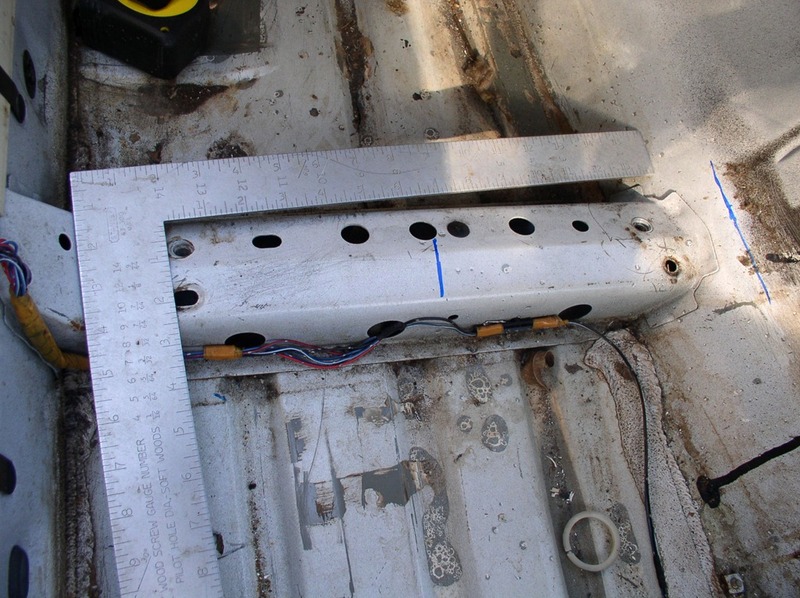 it is 13 inches outside to outside between the seat mounting holes. I used the centerline between these two points to determine the center-point for the new seat. The seat is 16.5” from outside to outside. So, to leave 1/4” of clearance I needed 8.5” either side of center. 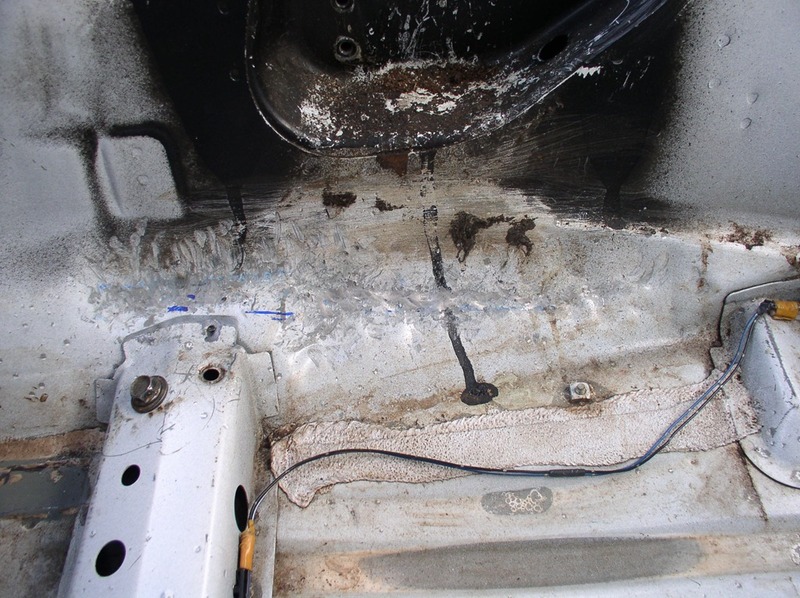 There was plenty of clearance to the rocker-panel, but the trans-tunnel needed to be mushed out of the way by about an inch. In the pictures below, the blue line on the trans-tunnel shows the 8.25” line. Easy way to do this? Use a hammer and just bang it out of the way. 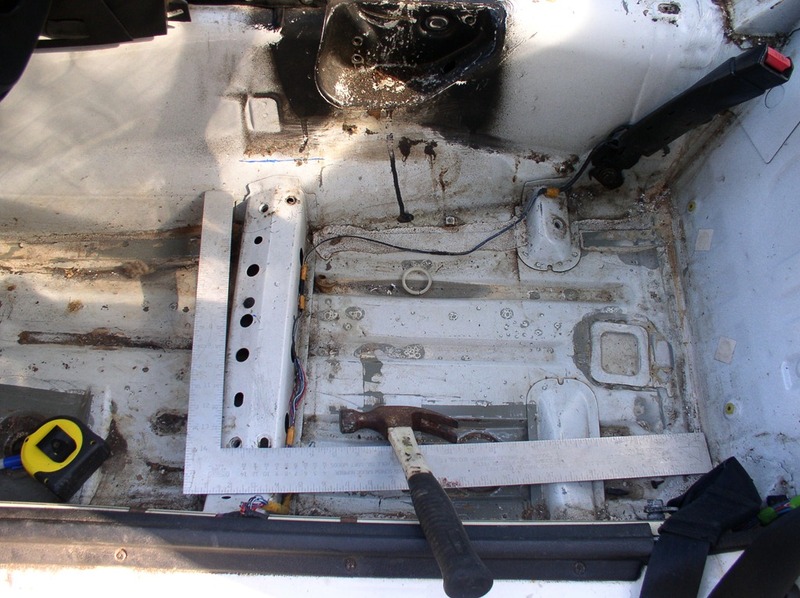 If the seat were any bigger, it might make sense to get out the angle grinder and welder. But, 10 minutes of banging and test fitting was all it took for the 16” seat. I still need to work out a mounting scheme. 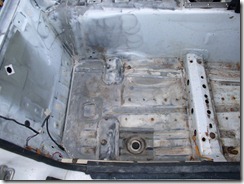 The basic plan is to use 1” x 3/16” steel to make “runners” that bolt to the seat bottom. 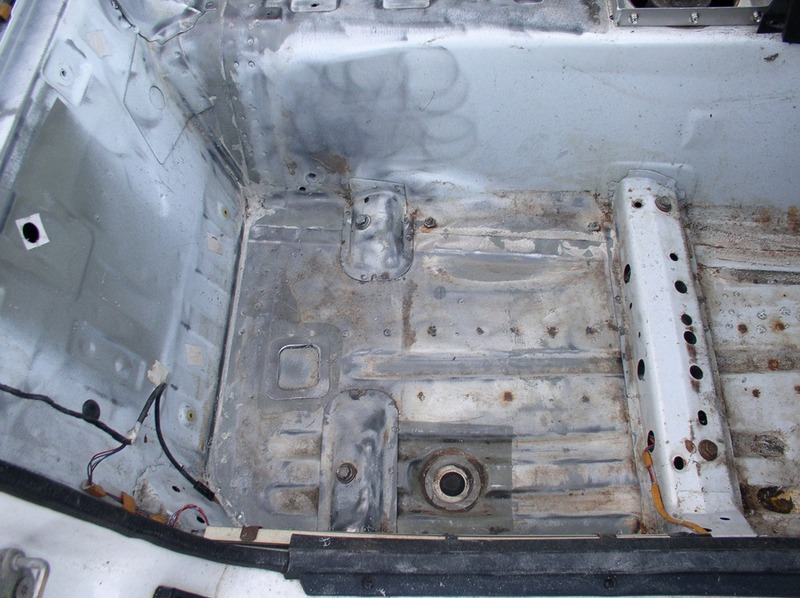 The main question is whether to leave the humps (front, rear, both, neither) in place, or to remove them and bolt the seat directly to the floor. A few people I respect suggest that mounting directly to the floor would increase the possibility of a spinal compression fracture. 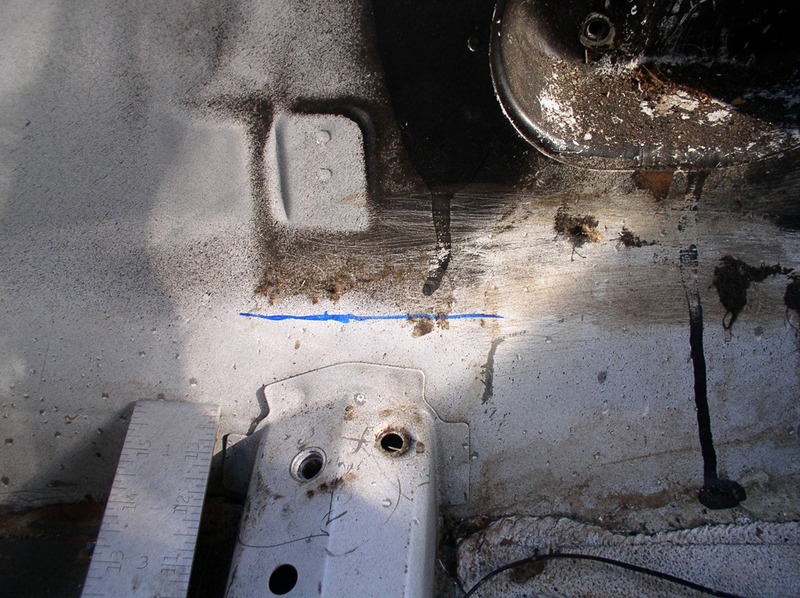 Rather a little clearance and “spring” in the mounts would help to spread any shock over time in a crash. I have about 2” of clearance to the roof with the humps in place…so, I’m thinking about leaving things as they are. 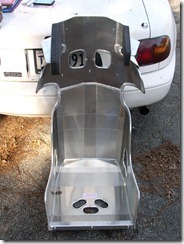 Here’s the seat set into the car. The other thing I started doing today was cleaning the sheet metal inside the cockpit. I used a twisted wire brush mounted on my angle grinder. This made quick work of the seam sealer, grime, dirt, and loose paint. The bad part? The brush wheel heated the seam sealer and melted it. it flung off the wheel in streamers like spider-web…then in the cold air it hardened back into a solid. Uggh what a mess. I had sealer-web in my hair, on my boots, and stuck to my clothes. Yeah, it was a huge mess. It wasn’t always clear that I was removing anything! Seat pad, NOT installed….yet. 🙂 There is a cover that snaps in and out that can be washed. They didn’t have the cover at the shop. It should mail out next week. Been enjoying your posts. I am 5’10” and weight about 235 at this time….220 earlier in the year. I also have an Ultrashield 16 and installed it to the existing seat humps. 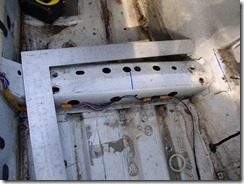 Fabricated 2″ runners which were bolted to the existing mounts. I would not mount it too the floor unless you are really tall. I actually sit a bit lower than ideal, but the seat is very comfortable. My son cut our some high dense 1/2 inch foam for a little addditional support. The seat is very comfortable and priced right. Make sure you have a Hans and I just bought new replacement belts from Crow….dog bone style so they fit the Hans. They were not on the Crow website. Cost was about $100 including shipping. Thanks (for the compliment, and the advice)! 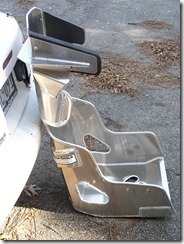 Kieth Novak made a similar recommendation over at MR.com about mounting to the floor. That makes two votes for stock humps+fabricated runners, so I’m sticking with the stock humps. I’m planning on getting a defNder HNR. Crow 6pt F1-style belt is already on order. Hey Tom, a quick question on the Ultrashield seat. How long is that right side head support? When you were at the Ultrashield showroom, did you look at a regular Halo VS by chance? I know they bill it as a circle track seat, but I would like one for its better rib support and protection over the Road Race version. Not sure exactly. Somewhere around 12″ or so. I’ll measure and let you know. I don’t think there is a significant safety difference between the VS Halo, and the RR VS Halo. But, I’m not a safety expert. The rib wings ar larger on the circle track version, and when I sate it in I felt like they would get in the way of my elbows while steering. Kirkey seats have the same style of high rib protection. I’ve driven in a kirkey, and I kept hitting my elbows on them…annoying. It *feels* nice and “snug”, though. People who have wrecked in a kirkey complain about the pain caused by putting that much load on the ribs. There is an argument against putting to much load on the rib cage. Shoulders and hips are better for taking the load, and only using the rib supports to keep the spine “mostly” aligned. But, everyone has to make that decision for themselves. Too much lateral containment of the thorax will transfer higher G-forces to the internal organs resulting in higher tearing forces and possible internal organ damage. Any lateral force high enough to break more than one rib, is high enough to potentially pull organs loose and tear blood vessels. I did look at the halo 2/3 seats, and considered those. I like the Halo 3 design—I think it is probably more robust, and probably has a more linear failure mode (bending versus collapse). Once the VS design begins depart from a flat plate, it will likely loose its strength very quickly. The Halo design is essientially a box around the halo and a support tube between the halo and shoulder support. I would expect this design to fail in a more gradual fashion. Again, I’m no safety expert, so that’s just my personal opinion of the two designs. 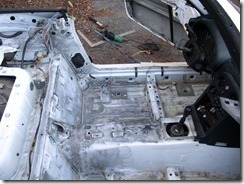 In hindsight, these (Halo 2/3) seats would probably have been a little easier to install within the cage. 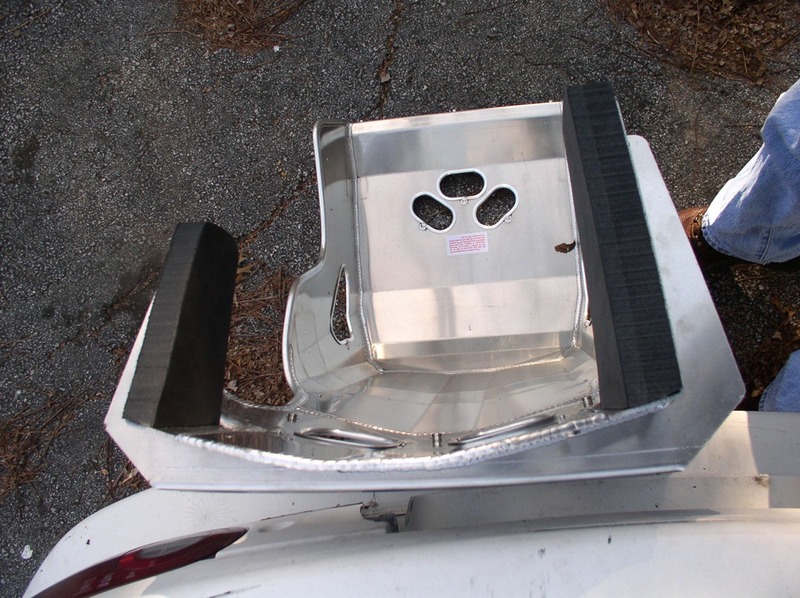 The VS halo uses a flat plate to provide the rigidity in the halo. This flat plate is pretty large and extends a good distance from the main structure of the seat. The Halo 2/3 uses ~1″ tubing between the halo and the shoulders. This makes for a narrower profile in the head area of the seat…and therefore, would likely be easier to fit around the main hoop, cage side and main hoop diagonal bars. 1. 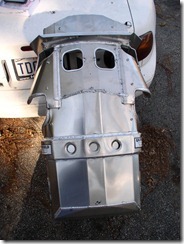 Ensure that the halo support wings did not interfer with the main hoop and diagonal. The diagonal was carefully placed to leave sufficient clearence for this part of the seat. 2. 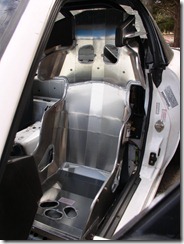 Ensure that the LEFT side of the halo support was INSIDE of the cage side. I wanted my head to make contact with the HALO before (or at least at the same time as) the cage side padding. 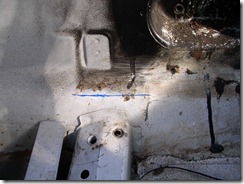 This forced the seat much farther to the centerline of the car than depicted in this post. 3. 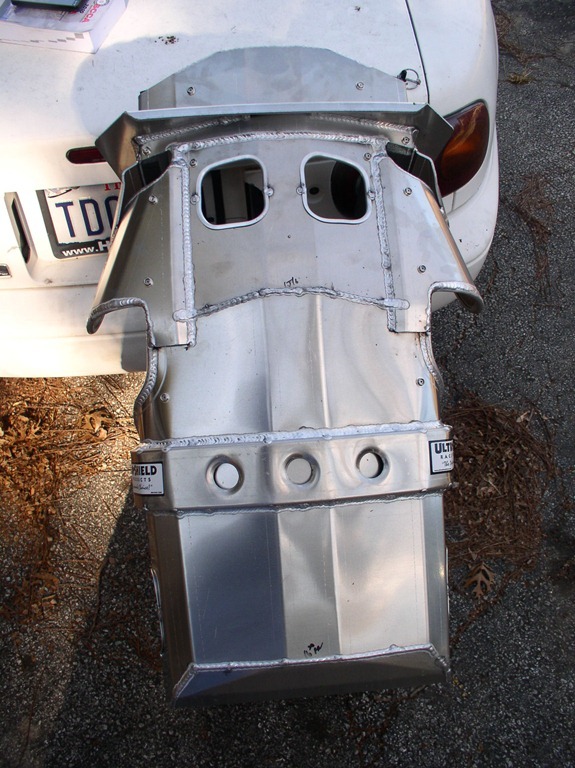 Even at a standard 6′ tall, I only had about 1 finger from the top of my helmet to the hard top. A little closer than I wanted. 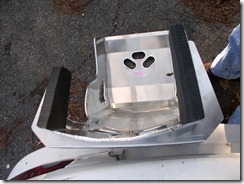 So, I had to remove the rear seat humps and fabricate a bracket to mount the seat directly to the floor. This gained me about another 3/4″ of head clearence. 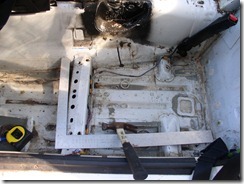 All of the changes required careful co-planning between the seat installation, and the cage installation. 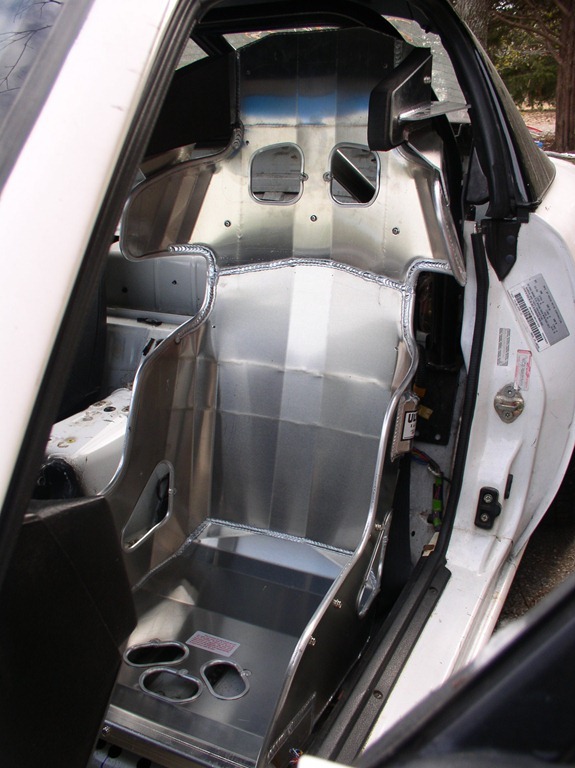 Doing either (cage or seat install) by itself (without consideration for the other) would have more than likely resulted in either not being able to use the seat, or having to make some major compromise on driving comfort/safety. 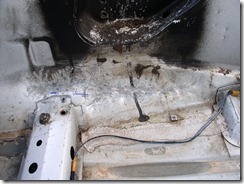 For example, I might not have been able to locate the seat on the steering wheel centerline and aligned with it. Or, I might have had to be “too close” to the pedals/steering wheel. Or, I probably would have made contact with the cage side first. The Halo 2/3 seats might have made this less tricky or more forgiving. OTOH, its possible that some other dimension is larger than the VS Halo seat which would negate the advantage in the Halo area. 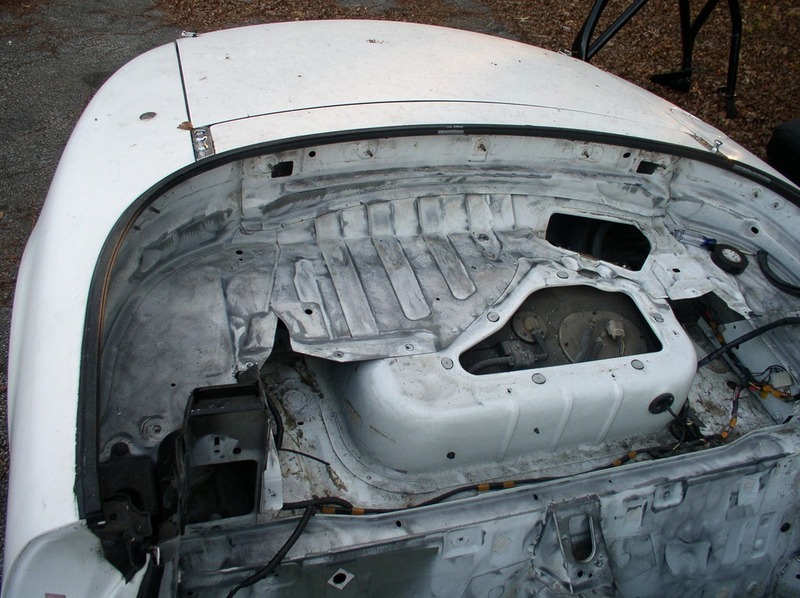 Without careful measuring and fitting in the car (or CAD modeling)…its almost impossible to know. All of the pro builders will tell you the same thing, as i spent considerable time discussing this with them at the time I was constructing the cage and fitting the seat. Thanks Tom. I did take a look at the other seats and I found you can have the VS seat with the double low rib support for no extra charge. I may go that route. If you can snag my email address off the comments form, shoot me an email and we can discuss further.